Following polluters’ playbook, the Environmental Protection Agency wants to dismantle the Clean Power Plan — and is trying to put court challenges on hold while it does so. Update, 2/7: The Army Corps has issued the easement to allow the Dakota Access Pipeline to cross under Lake Oahe in North Dakota. The Corps also reversed its Dec. 4 decision and announced that it would forego the preparation of an Environmental Impact Statement analyzing alternate routes for the controversial crude oil pipeline. See latest updates. The Clean Power Plan is a vital, common-sense safeguard that will greatly reduce the largest source of carbon emissions in the United States. It sets the first-ever federal limits on carbon pollution from existing fossil-fuel-fired electric power plants. These plants emit a third of our nation's carbon—more than the next ten kinds of stationary sources combined. Controlling this pollution is crucial if we are to make progress against the worsening climate crisis. On April 5, Earthjustice—part of a coalition of public health and environmental groups—opposed the EPA’s request to delay resolution of lawsuits challenging the Clean Power Plan. On March 28, President Trump ordered EPA to review the Clean Power Plan and to consider suspending, revising, or rescinding it. That same day, EPA Administrator Scott Pruitt announced the start of that review, and filed a motion asking the U.S. Court of Appeals for the D.C. Circuit to put on hold—for the duration of EPA's review—pending lawsuits by fossil fuel interests challenging the Plan. Before this recent development, those lawsuits had been fast-tracked by the D.C. Circuit, and had been fully briefed and argued last year. They are ready to be decided by the court, but EPA's motion would—if granted—prevent the court from ruling. Last year, the Supreme Court ordered that the Clean Power Plan be stayed pending resolution of lawsuits challenging the Plan. (Read the court order and Earthjustice's statement.) Though EPA's current motion would prevent the D.C. Circuit from resolving those lawsuits, the motion nonetheless states that the Clean Power Plan should remain stayed. Defenders of the Clean Power Plan are concerned that this approach would extend the stay indefinitely, thus postponing the Plan's crucial carbon reductions. EPA's 2015 standards limiting carbon pollution from new fossil-fuel-fired power plants (read the motion). On April 5, a coalition of public health and environmental groups filed oppositions in the D.C. Circuit to all three EPA requests for delay. (Read the opposition to the Clean Power Plan abeyance, opposition to the New Source Carbon Standards delay, and opposition to abeyance in the Clean Power Plan reconsideration denial.) Earthjustice is co-counsel for Sierra Club, one of the groups urging the D.C. Circuit to move forward and decide the cases. The coalition will defend the Clean Power Plan and the carbon standards—even if EPA no longer wishes to do so. On April 28, the U.S. Court of Appeals for the District of Columbia Circuit issued a pair of orders pausing industry’s lawsuits against the Clean Power Plan and New Source rules for 60 days, and asking litigants to file briefs by May 15 on whether to send the rules back to the EPA for further review. 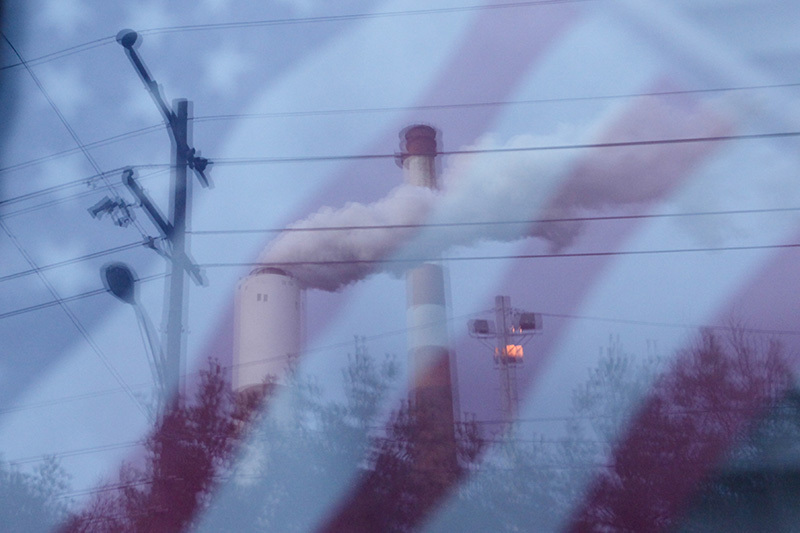 On May 15, supporters of the Clean Power Plan filed briefs urging a court to go forward and decide a lawsuit over the landmark plan setting the first-ever federal carbon pollution limits for our nation's electric power plants. The briefs (on Clean Power Plan and New Source rules), filed in the U.S. Court of Appeals for the District of Columbia Circuit, address the future of lawsuits by fossil fuel interests and allied states seeking to overturn the Plan. On Oct. 9, EPA Administrator Scott Pruitt announced that he will sign a proposed rule to begin the process of repealing the Clean Power Plan. On Jan. 29, Earthjustice joined with other groups in calling upon the EPA to withdraw its proposal to repeal the Clean Power Plan, because the proposal reflects the improper involvement of EPA Administrator Pruitt. A similar request was made Jan. 9 by a coalition of state and local governments.